We always say – everyone has a budget. Whether your budget is $500,000.00 or $5,000,000.00. 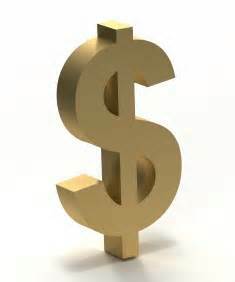 You have to be smart as to where you put those dollars when building a custom home or remodel. It ends up being a financial balancing act of where to splurge and where to save. This process can, at times, become overwhelming and confusing. It is extremely important that you have trust in your builder to steer you in the right direction when it comes to making these important decisions. A good “splurge” would be on windows. Opt for energy efficient, upgraded windows that will end up saving you money on your electricity bill for years to come. A good “save” option would be to opt for chrome plumbing fixtures in lieu of polished nickel. It will give you a similar look without breaking the bank. And these fixtures could be easily replaced in the years to come. Another good “splurge” would be radiant heating underneath your floors. This system saves energy and improves quality of life. Aside from the benefits, a system like this would be a nightmare to install later and end up costing you more. Another good “save” option would be by using a remnant for countertops. 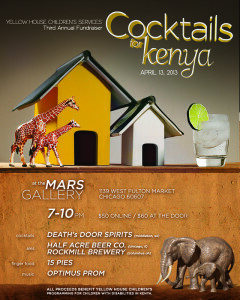 These are left over pieces of granite or quartz, that usually work great in places such as a powder room, wet bar, etc. Huge Savings Tip: Take advantage of builder’s pricing on appliances. Most appliance manufacturers have discount programs in place for home builders. Make sure those discounts are being passed along to you. The bottom line? Set priorities and budget for them. While certain areas (structural integrity, safety, insulation) are places where no one should scrimp, pretty much everything else is up for interpretation. So take your time, set your top priorities for your project and stick with decisions that make sense for you — both now and in the long term. Elegant but comfortable, maintenance free, and entertaining are common buzzwords we are hearing from homebuilders around the country as the latest in Custom Home Trends…and we couldn’t agree more. Home offices are now becoming smaller, more like nooks according to the National Home Builders Association. Green living has become mainstream and is a trend that is here to stay. Using sustainable materials, reducing energy, improving indoor air quality, reducing water consumption, and ultimately saving money over time. Of course, luxury never goes out of style. First floor master bedroom suites with resort style bathrooms that include saunas and fully enhanced media rooms designed for multimedia entertainment are extremely popular. Home Elevators are becoming standard for multi-level homes, especially in multi-generational homes. A huge growing trend is separate living spaces for in-laws, complete with kitchens, bedrooms and separate living spaces. People are spending more time outdoors entertaining and relaxing with family and friends. Outdoor living spaces with patios, decks, verandas are now including outdoor kitchens for cooking and dining. With many more people spending time outside, taking a look at things like home security cameras wireless outdoor may turn out to be a good idea with the apparent rising importance of home surveillance Custom Home Builders are including high end appliances, fireplaces, fire pits as well as audio systems. Regardless of the size of the home, a stylish kitchen is a must. The kitchen is invariably the gathering place and is utilized not only for cooking and eating, but for everything from school work to entertaining. Upscale appliances, an abundance of natural lighting are not just trends, but staples in a luxury designed kitchen. Chicago, IL, February 4, 2014 – Cesario Builders of Oakbrook Terrace, IL. has been awarded “Best Of Houzz” by Houzz, the leading platform for home remodeling and design. The Premier Chicago-land Suburbs Design-Build Firm was chosen by the more than 16 million monthly users that comprise the Houzz community. With Houzz, homeowners can identify not only the top-rated professionals like Cesario Builders but also those whose work matches their own aspirations for their home. Homeowners can also evaluate professionals by contacting them directly on the Houzz platform, asking questions about their work and reviewing their responses to questions from others in the Houzz community. Snowy winters can be back-breaking work for homeowners, especially when you have to shovel and salt your driveway, patio, walkway, and stairs what feels like constantly. 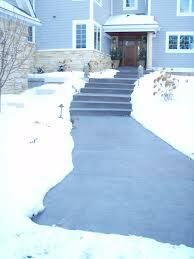 Designed to be installed directly in concrete, asphalt, or in mortar underneath pavers, a snow melting system will ensure that your heated driveway, patio, walkway or stairs will stay both ice and snow-free. Imagine relaxing by the fireplace in the comfort of your home on a snowy winter day. With snow melting systems, you can do just that. No more driveways to shovel or plow. The paving material absorbs heat from the snow melting heating elements, melting the ice and snow while you relax. For more information, call us to schedule a complimentary consultation! Frigid Temps = Frozen Pipes! Here Are Some Tips! 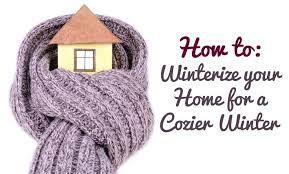 With these frigid temperatures, comes extra maintenance for our homes which can be a headache. Here are some simple steps you can take to avoid having any issues or expensive plumbing nightmares on your hands. This expansion puts extreme pressure on whatever is containing it, including metal or plastic pipes. Pipes that freeze most frequently are those that are exposed to severe cold, like outdoor water faucets, swimming pool supply lines, water sprinkler lines, and water supply pipes in unheated interior areas like basements and crawl spaces, attics, garages, or kitchen cabinets. 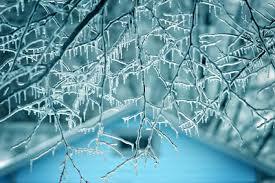 If your pipe does freeze, you may have to get someone like sagewater.com to come out and replace it for you. 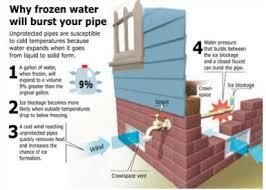 Also, pipes that run against exterior walls that have little or no insulation are also subject to freezing. A 1/8-inch crack in a pipe can leak up to 250 gallons of water a day, causing flooding, serious structural damage, and the immediate potential for mold. In the US, frozen pipes cause significant damage every year, but they often can be prevented. Taking a few simple steps, even now, may save you the aggravation and expense. If your house or basement is flooding, turn off the water valve and immediately call 911. Once the danger is sorted you can get someone like ServiceMaster of Lake Shore to repair any water damage. Again, if your water pipes have already burst, turn off the water at the main shutoff valve in the house; leave the water faucets turned on and call 911. Make sure everyone in your family knows where the water shutoff valve is and how to open and close it. Likely places for the water turn-off valve include internal pipes running against exterior walls or where water service enters a home through the foundation. Remodeling to cure the Winter Blues! As the days get shorter and the nights get colder, even the happiest people face the prospect of the winter blues. By mid-winter, many of us experience mild depression, low energy and lack of motivation. This year, consider Cesario Builders to tackle a couple of home remodeling projects. Not only will you distract yourself from the cold reality of winter, you’ll often add value to your home which is reason enough to be happy! 1. Warm it up. Just because it is winter, you don’t have to be uncomfortable. Radiant heat flooring is a perfect way to combat those cold tile or stone floors and enjoy the coziness! 2. Spruce up your kitchen. The kitchen is the center of the house, and your family probably spends a lot of time there in the winter. Make your kitchen more welcoming by redesigning your kitchen with new cabinets. Take it a step further with new quartz countertops which is all the rage right now! 3. Add color. Trade in your white walls for a splash of color! This year’s trendy new colors are in the hues of blues, greens, purples, and even pink! 4. Let the light in. Nothing battles the winter blues like natural light. Install a skylight in dark, closed-in rooms. Dim hallways and bathrooms lacking windows are good prospects for added natural light. Today’s efficient skylights resist leaks and prevent heat loss, and added UV protection prevents carpet from fading. 5. Improve the view. Even summer sun-lovers can enjoy a winter landscape from inside a warm, cozy house. Replace a small window with a larger bay window, and welcome the winter sun. Invest in an indoor fountain, which will provide the soothing sound of flowing water while adding natural moisture to the dry winter air. Remember, a dash of color and light will go a long way toward perking up your home and your mood, banishing those winter blues along the way and Cesario Builders can help with all of your remodeling needs! The best of both worlds…. 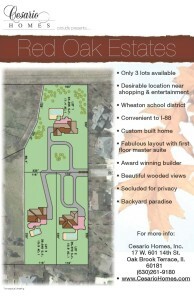 is Red Oak Estates in Lisle, IL. conveniently located off Leask Lane close to shopping and entertainment at Danada Square, easy access to I-88, and within the Wheaton School District with the privacy you desire for your family in a beautifully wooded area. Three lots are available to build your custom home with Cesario Homes. For more information, call for a consultation at (630)261-9180. Cesario Builders Teams Up With the “Toys For Tots” Foundation this Holiday Season! Please Help Us Spread Joy This Holiday Season to Children Less Fortunate…..
Cesario Builders will be collecting NEW toys and books throughout next week to support the “Toys for Tots” Foundation. Our collection deadline is Friday, December 13th. Please call Cesario Builders to schedule a toy pick up or drop off to our office before Friday, December 13th. If you have any questions, please contact Noelle Cesario. We thank you for your support and wish you a very happy holiday season! Thanksgiving is right around the corner, and it’s cold enough to turn the heat on in Chicago this year. I can guarantee the Windy City’s weather is going to get worse before it gets better. Make sure your house or condo is prepared for winter by keeping cold weather out and warm air inside with these simple home weatherizing steps. Clean, inspect, and service your heating units. Sweep away debris around the units, visually inspect for damage, and replace filters. Most HVAC Service companies like www.rapidrepairexperts.com would recommend a yearly service, in addition to regular self-maintenance, to maintain the efficiency of your heating and cooling units. Once the really low temperatures and snow hits, it’s usually too late to get a timely service call, so CALL NOW to schedule your visit. Take window AC units out, clean them and store them for the winter. Drain AC water lines of central cooling units and turn off cooling system. If separate system than heating, consider making appointment NOW for early spring HVAC maintenance. Repair or replace any broken glass or seals in windows. Recaulk all trim areas where caulk has peeled or cracked. Replace or install weatherstripping to areas where cold air is able to enter your home. Insulate any pipes that are exposed to potentially freezing temperatures. If you have a fireplace, clean the chimney, check that the damper works properly, and consider installing a chimney cover to keep out rodents and nests. If you’re looking to convert to gas heat, you might want to check out something like Air Now to help you stay warm this Winter. Test all smoke detectors and carbon monoxide detectors and replace batteries if needed. Prepare an emergency kit for winter power outages with a flashlight, candles & matches, utility company contact information, blankets, and bottled water. Clear all gutters and downspouts of leaves and debris. Make sure downspouts lead water away from your home. If water is pooling near the foundation, install spout extensions to lead water away from the structure. Replace or fix any missing flashing or loose shingles on the roof. Remove dead plants, branches, leaves and debris from the perimeter of your home in order to keep animals and pests from nesting in or around your home and so you can inspect the condition of your exterior. If you do have any pests intruding in your home, it may be worth considering using a termite control Los Angeles firm, or one similar, to solve your problem before you carry on getting your home ready for winter. Seal any cracks or holes in the foundation, steps, or outside walls. Check outdoor faucets for leaks and drips and repair if needed. Turn off outdoor spickets for the winter. Drain garden hoses and store them under cover. Make sure your snowblower is accessible and tuned up. Make sure shovels and ice picks are in working order and stock up on salt or ice melt in order to prepare for unexpected ice and snow. By being prepared before winter hits, you’ll be able to enjoy the holiday season by spending more time with your loved ones and less time worrying about home maintenance. Cheers to the new holiday season ahead!